Mequon Let’s Take Out This Prickly Dipsacus! 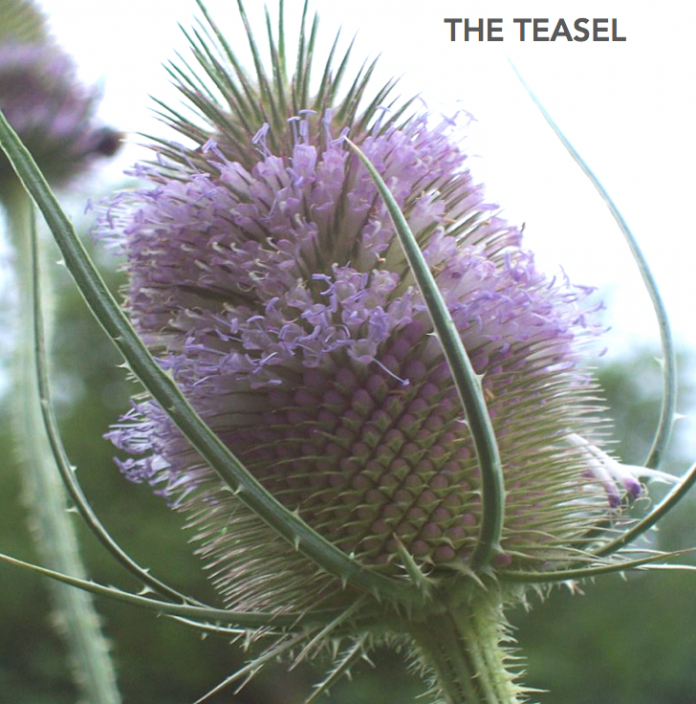 Everybody talks about teasel but nobody ever seems to do anything about it. Well, the Interact Club of Homestead High School, along with the Ozaukee Washington Land Trust and the Mequon-Thiensville Sunrise Rotary Club, are stepping up and taking action against this vile, invasive pricker. 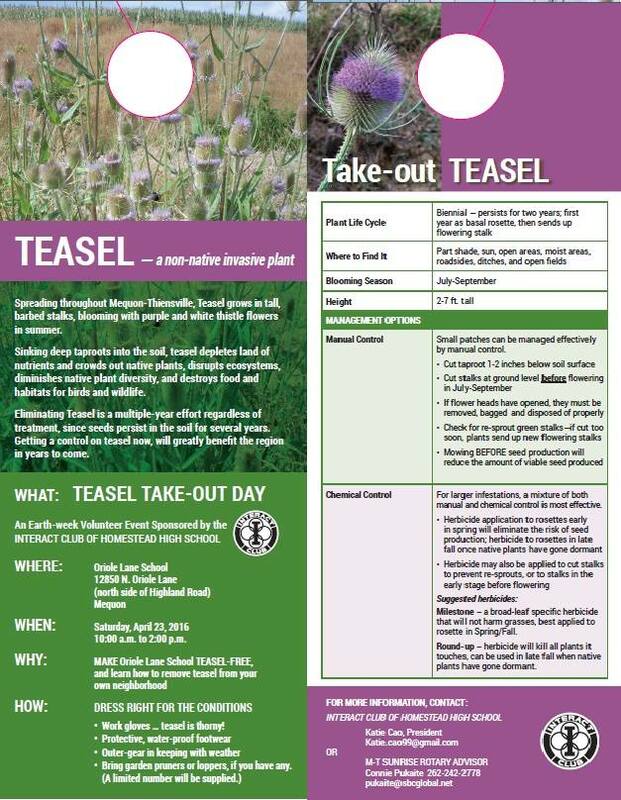 By sponsoring and promoting Teasel Take-Out Day, they hope to teach and encourage people to yank out these wily weeds – all while clearing an infested area in the community. You’re encouraged to join in the fun on Saturday, April 23 between 10am to 2pm at Oriole Lane School in Mequon (see details on poster). Bring work gloves, loppers and an attitude – these prickly mothers can grow up to seven feet tall. Let’s take down some serious teasel!